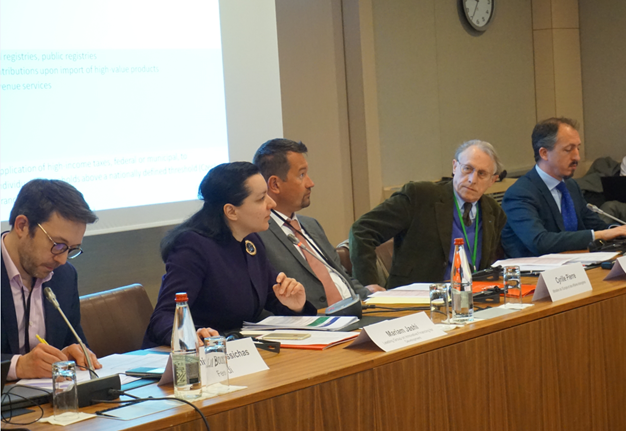 On 20 March 2018, the French Ministry for Europe and Foreign Affairs and the Foundation for International Development Study and Research (FERDI) held a workshop on the theme of innovative financing for development. The workshop brought together more than 60 participants from the field of development and from international institutions, public administrations, development banks, foundations, the private sector, civil society and academia. The event was split into three sessions, taking stock of three categories of innovative financing mechanisms and sources that already exist and of new developments in this area. The sharing of experience and ideas through contributions by key practitioners was an opportunity to discuss prospects that have so far not been exploited, including the estimated innovation potential and the “repeatability” of mechanisms applied to some of the most under-financed fields. The first session discussed mechanisms considered mechanisms considered innovative in their ability to raise additional resources for development policies ; the second was dedicated to mechanisms that aim primarily to achieve results ; and the third focused on mechanisms where the innovative potential lies in means of financing. Link to the website of FERDI, the event’s partner. From left to right : Matthieu Boussichas (FERDI), Dr Mariam Jashi (President of the Leading Group), Cyrille Pierre (Sustainable Development Director, Ministry for Europe and Foreign Affairs – MEAE), Patrick Guillaumont (Presdient of FERDI) and François Legué (Head of the Development Department, MEAE).